Combine the ingredients in a cocktail mixing glass. Fill the mixing glass with ice. Stir the cocktail until well-chilled and the desired dilution has been reached. Strain the cocktail into a mason jar. Express an orange peel over the cocktail and drop the peel into the cocktail. 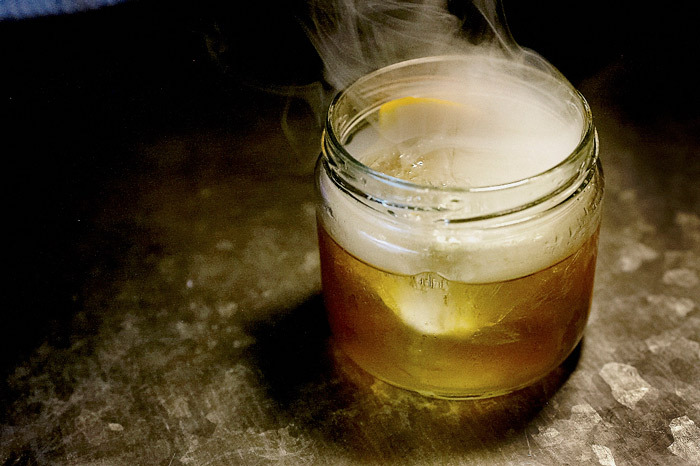 Fill the mason jar with Cherry Wood smoke using The Smoking Gun®. Lightly screw the lid on and serve.